I'm excited to share one of my fave reading lessons today over on the All About 3rd Grade blog. (My other favorite lesson is the Great Garbage Mystery!) 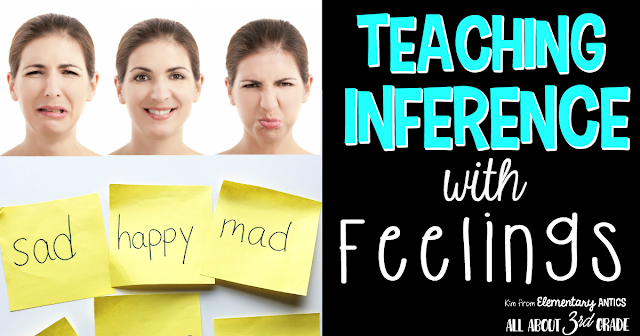 Using feelings to teach inferring is one of my favorite lessons from Strategies That Work that I used year after year to introduce inferential thinking to my students. I love that you explore different feelings and show students how you infer and use inferential thinking in everyday life. Click here to read all about it!